We are delighted to announce that Dr. Donnchadh O’Morain will join us in Gorey from April. He is currently working as a specialist orthodontist in London and will work part time between London and Wexford while he completes his treatments in London and starts new treatments here. He is looking forward to returning to Ireland after 9 years abroad and plans to move back to live here at the end of the Summer. Dr. O’Morain grew up in Co. Kerry and graduated with an honours degree in dentistry from Unversity College Cork in 2007. He then spent 2 years working as a general dentist in the UK while studying for his membership exams at the Royal College of Surgeons of Edinburgh. After he was awarded Membership of the Faculty of Dentistry, Dr. O’Morain gained experience in Oral & Maxillofacial Surgery at Bristol before moving to Glasgow Dental Hospital, where he spent time working in the specialist fields of Paediatric Dentistry, then Restorative Dentistry and finally Periodontology in preparation for his specialist training in Orthodontics. He completed a 3 year specialist orthodontic training programme in Leeds after being awarded an MSc in Orthodontics from the University of Leeds and a Membership in Orthodontics from the Royal College of Surgeons of Edinburgh. 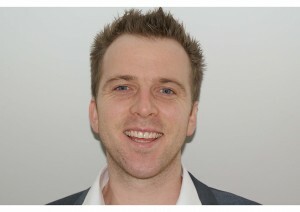 Dr. O’Morain worked for short periods as a specialist orthodontist in Sydney and in London and gained experience in a wide variety of treatment techniques before returning home to join Wexford Orthodontics in 2016. Outside of work Donnchadh is a keen sportsman with a particular interest on gaelic football, running and swimming. He also enjoys travel, a passion which he has fulfilled over the years through periods spent as a volunteer dentist with charities in Uganda and in Peru.